When the mountain stopped me and asked me to take a picture of it, I had no idea that right across the street something was begging me even more to take its picture. 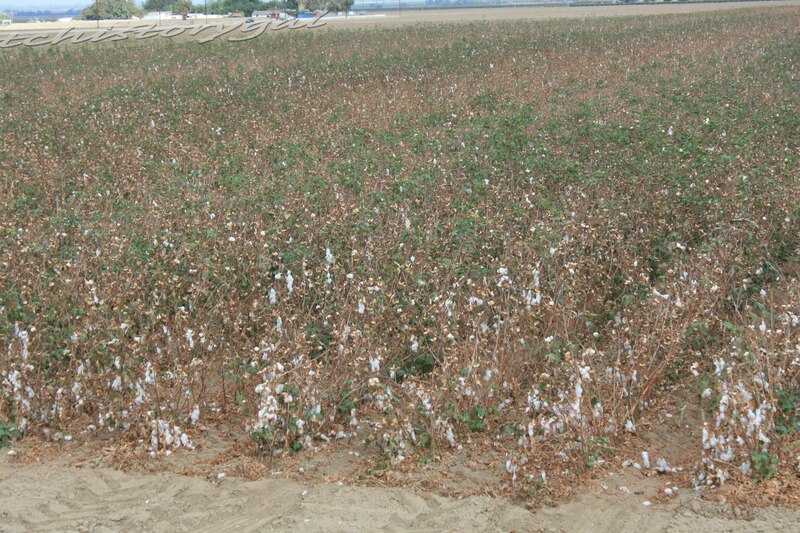 NO, it took more than a mere field of cotton. 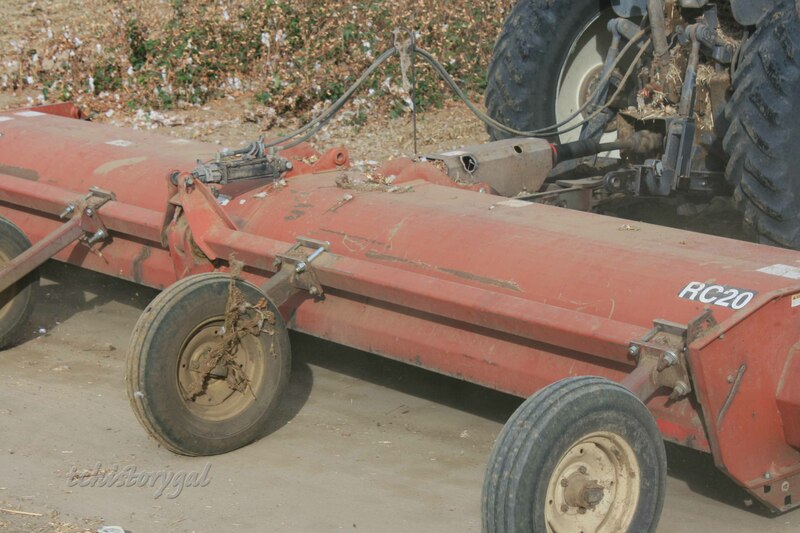 You guessed it – farm equipment doing its job. It looks small and innocent enough from this vantage point. Wait till you get closer! Closer, closer. Be careful! It’s got teeth! 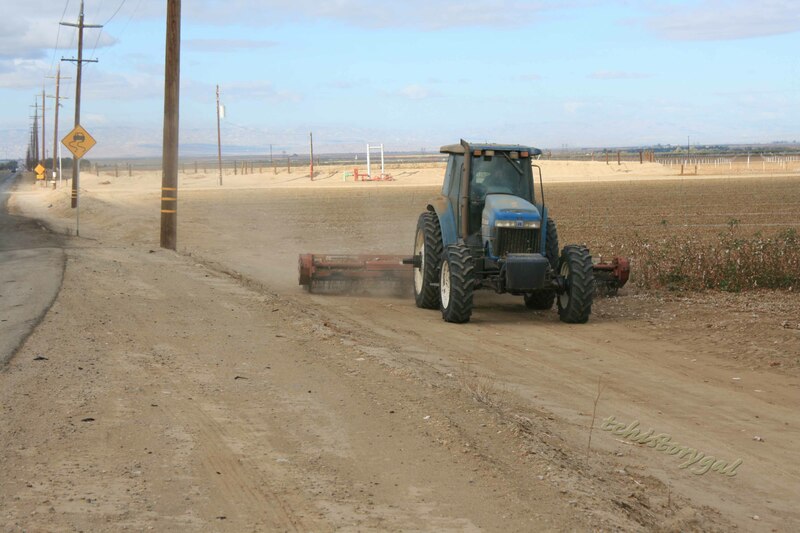 You can see why the air gets so dusty in the Central Valley. The sky was so immaculate on Saturday because it rained Friday night – our very first rain of the fall. It still looks small and harmless, just a little dusty! Watch out tchistorygal. Can you find my tchistorygal signature? I’m hiding them now! As I turned from my engaging activity, I jolted to see, not 10 feet away, a white pick-up with a stern looking man sitting inside staring at me, just waiting. That was a little eerie, I have to admit, but I greeted him with a friendly apology asking if he minded if I took pictures. He didn’t, but reminded me not to get my fingers or feet near the cotton mower. HELLO – like even a 2 year old would back away from a moving grinder like that! But the slight reprimand was a small price to pay for being allowed to be at that place at that time with my camera in tow, fully charged with an empty disk. I didn’t ask to take his picture, though. Maybe he was worried that I was a safety inspector. Have you found me yet? My signature, not a miniature Marsha Lee. Ok, that is pretty obvious, but don’t you love the little opening of light following the mower? I did NOT Photoshop that in. It was an amazing opening in the clouds. How cool was that? Just so you will be more knowledgeable at the end of this article than you were at the first, I want to clarify something. 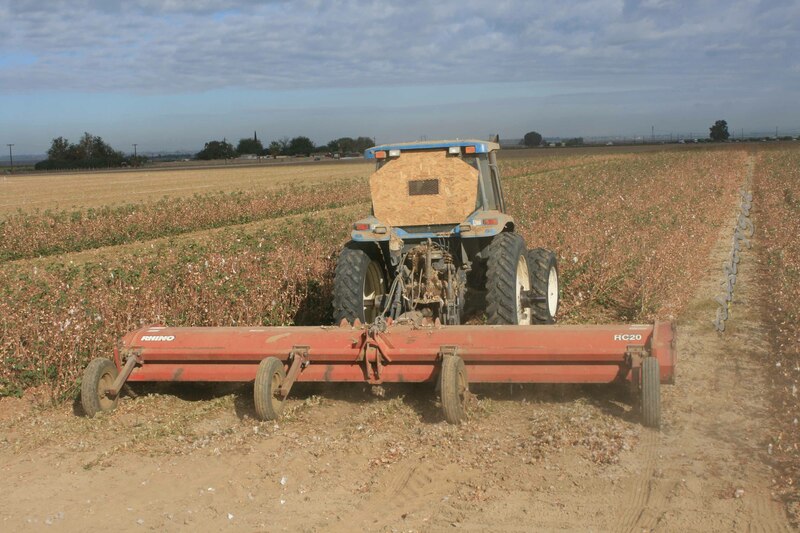 I mistakenly thought that this machine was a cotton picker until I looked online. 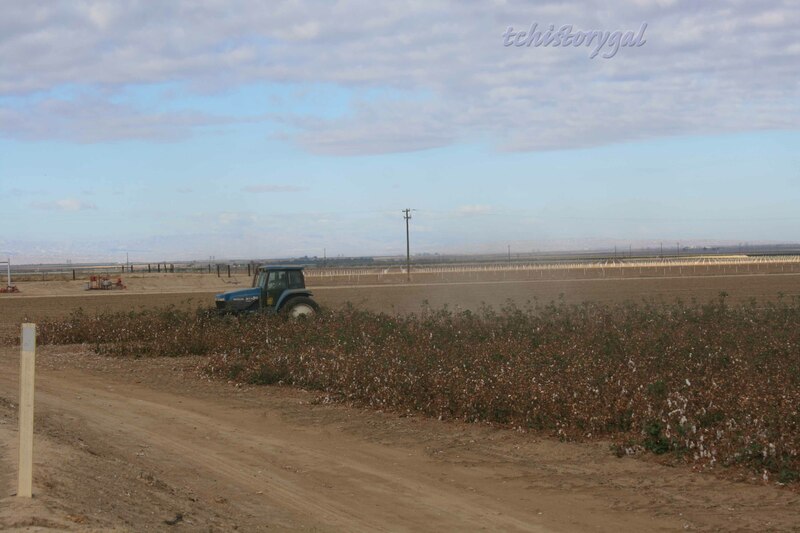 I thought the fields looked pretty full of cotton still, but how wrong I was! 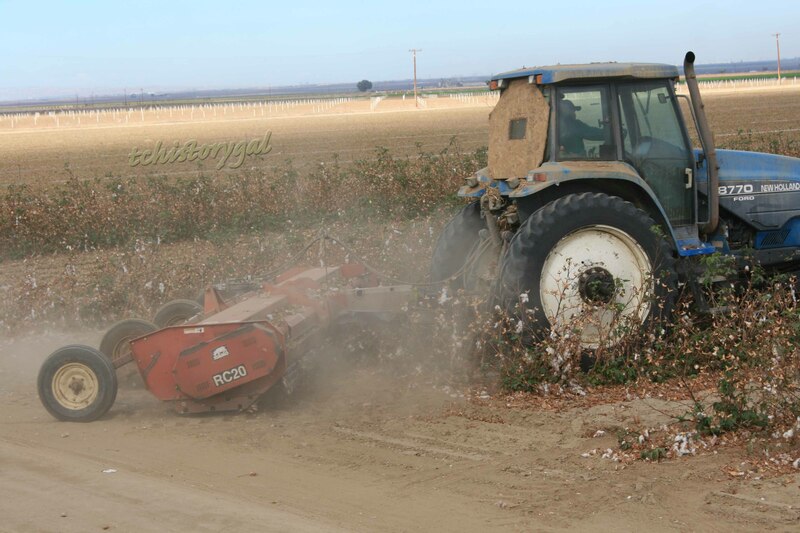 This machine in my pictures was merely mowing down the cotton remains. Did you find all my signatures? I’m getting pretty cagey, don’t you think? Awww Isn’t nostalgia just the anecdote for everything that ails a person??? It’s my delight to keep learning. There are layers and layers to learning just like there are to working with photos on Photoshop. I notice something new every day, and I get more proficient at the things I thought I knew, and couldn’t do the second time without effort. Thanks for the encouraging words, Dianne. How cool is it when the clouds cooperate with taking photos. Great post, not something I have ever seen before. Yeah! That was what I was hoping. I want to post things unique to our valley that maybe people haven’t seen before. I’m not sure that i all the years I’ve lived here that I have ever seen, and certainly not when I just happened to have a camera ready! What you did with the signatures was too funny lass! Groovy post! Yes! I LOVE it when the clouds part and the sun crawls across the landscape…fabulous capture! 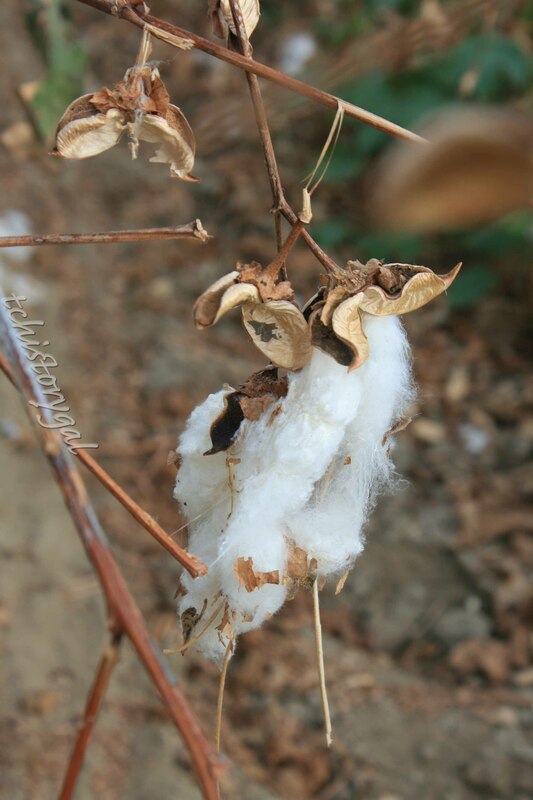 I was absolutely enthralled, and what beautiful macros of the cotton, loved it! I could relate very much to turning around to be met with a stern visage peering at me from the depths of a white pick-up, prepared to bestow a reprimand. Imagine the very stolid and stern look on one that has just found some silly lass singing and dancing in the usually very peaceful wind-turbine farm he patrols? Or the ranger’s stern look as she sits in her canoe, closing off the spring for the night, when suddenly she beholds a burr-dappled lass, and a bewildered Sir, pop out of the “no tresspassing” patch of forest on the wrong side of the spring, after having gotten severely lost hiking. See, I had been tracking a black bear, and almost got her in sight, (but she did manage to slip away) and during this time of bear-hunting, which consisted of a few hours, well, got a bit lost. We saw a lot of turkeys…vultures too. Well, the ranger did NOT think giving us a wee ride across in the very spacious canoe so we could leave before park was closed, which was in the next thirty minutes, was a conducive idea, “YOU’RE NOT SUPPOSED TO BE THERE! Go back the way you came!” And then she canoed away. Oh bother….We eventually found a road, found a state trooper that just happened to be there, and he radioed away, and suddenly another ranger in the usual white pick-up, with a friendly grin, picked us up and hauled us all the way back to the parking-lot. We had managed many miles that day, the ranger was astounded at us. Well, I really wanted to see that bear. And I apologise, I did it again…I want to write a nice sweet comment, and it turns into a rambling mess, oh bother. I hope you get wiser with the years, I don’t hold out much hope for me. 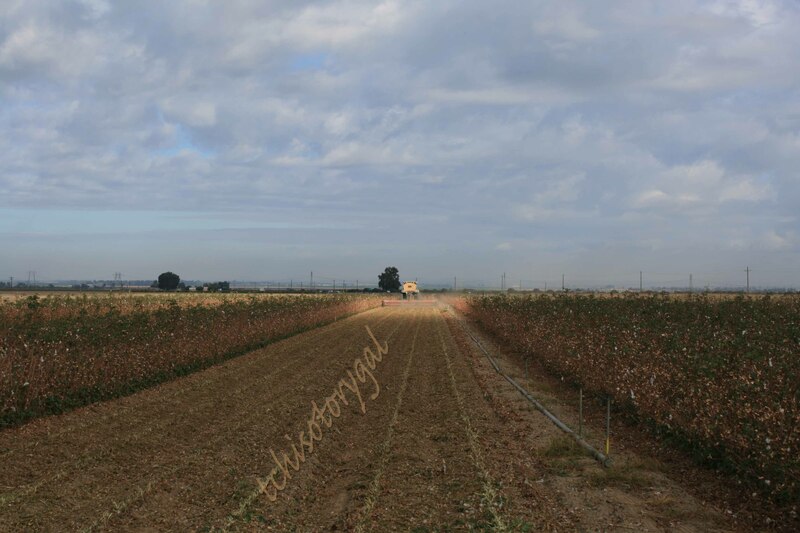 I love photos of cotton fields, even when they’re being ploughed under for the year. 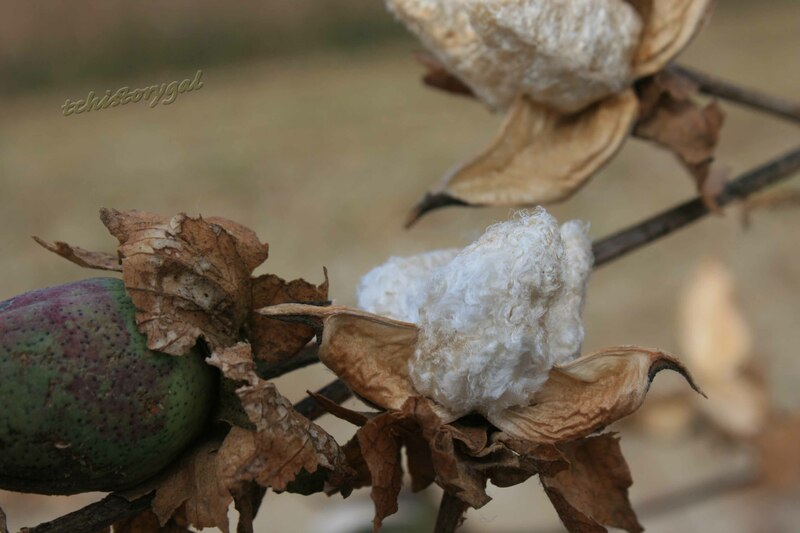 I’ve planted cotton in my own yard off and on just for fun and if you leave the stalks they’ll last for years. I suppose that’s why the farmers come along after the season and cut everything that’s left down. Beautiful photos. Thank you so much! I love them too, and even after seeing them for over 25 years, it seems amazing that these little balls of puff that we weave into clothes grow from these little plants. So if you leave the stalks they don’t go away, but do they regrow the next year. I wouldn’t think that they would do that. No. they don’t regrow, but they’re relatively sturdy and will stand for sometime after the cotton bolls have been picked or fallen away. They’re so light that, unlike corn stalks, it takes a long time for them to wither and fall over. There ought to be a use for that!!! 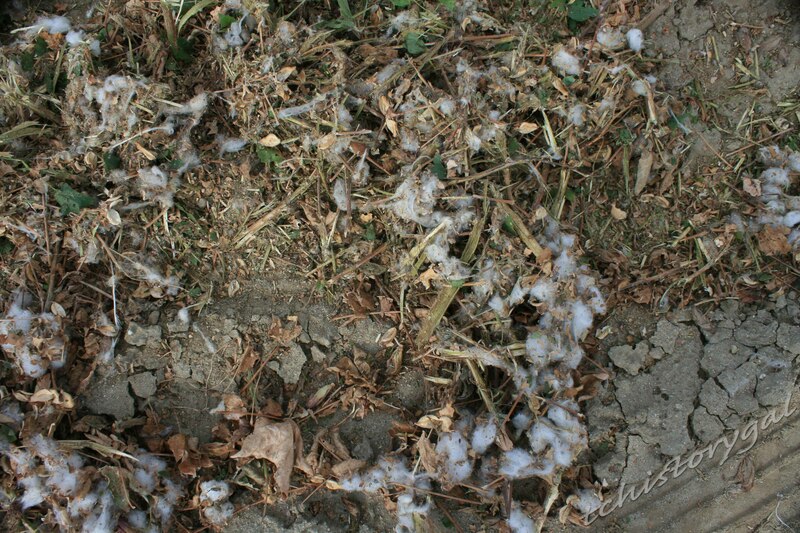 We use bark mulch, maybe we ought to be using cotton stalks! Thanks so much for the information – you are a wealth! I’ve been called many things, but never a wealth. Thank you kindly. Well, maybe treasure would have been better, but wealth of information was what came to mind! Happy Thanksgiving Cotton. Much obliged, and a Happy Thanksgiving to you, as well, tchhistory. Thank you, kindly. I hope your Thanksgiving was good, as well.